GoPro Hero 7 Black Review After 5 Months Traveling: Is It Worth the Money? What is the best Gopro for you? The newest GoPro range might offer the best action cameras on the market, but are the different GoPro models really worth the money? 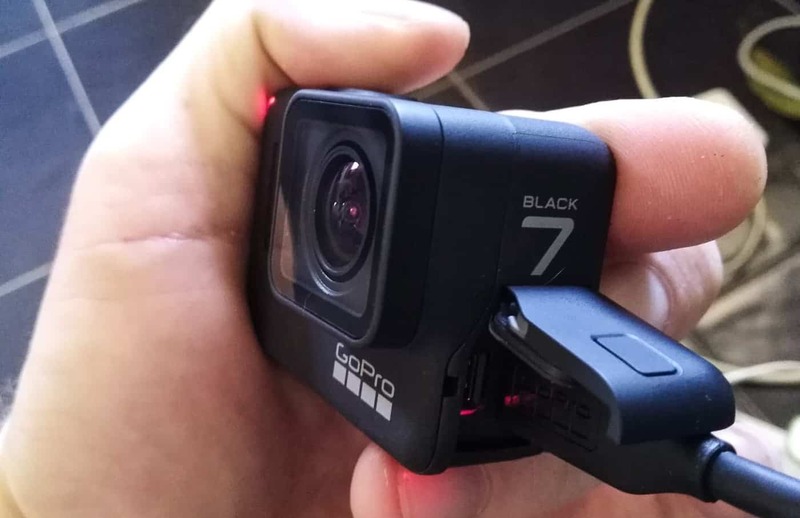 Dig deep now in our detailed GoPro Hero 7 Black review. After having heavily tested GoPro’s latest flagship model in all kinds of conditions, traveling around for the past 5 months in Southeast Asia, here’s my fair thoughts about the GoPro Hero 7 Black’s performance. Check out our first Extreme Nomads video made exclusively with the newest GoPro Hero 7 Black, all shots captured in 1080 – 60 fps mode (the max resolution on the White model). Big thanks to Travelling Day for letting me use one of his bangin’ tunes. And if you dig our style, simply hover on our profile pic in the top left corner to subscribe to our channel! Now, even though Gopro is recognized for making some of the best action cameras out there, more and more people are starting to wonder if these little beasts could also do well as an affordable and convenient traveling camera. 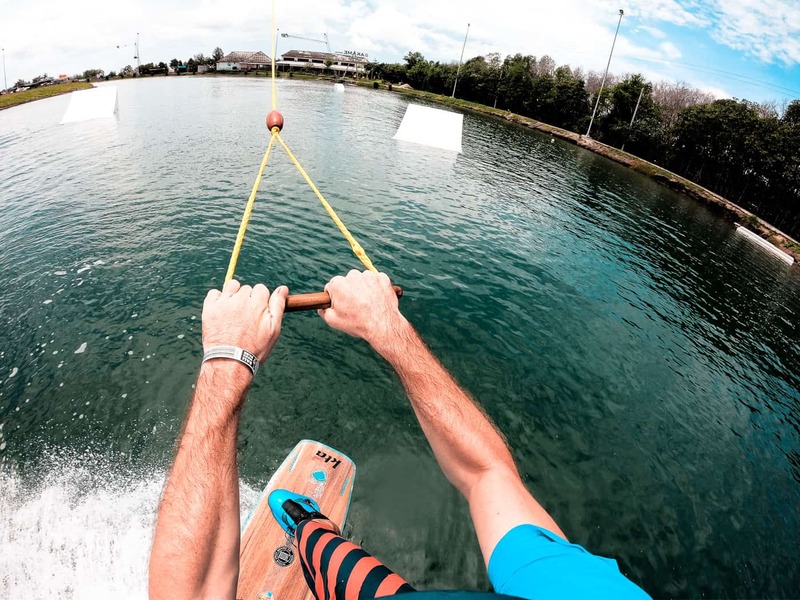 And indeed, many of the features that make Gopro cameras perfect for traveling actually come from the action sports requirements. Think size, durability, ease of use or even the endless choice of accessories, just to name a few. We’ll go into every mode and see why this tough little baby makes an epic action cam that’s also great for traveling, while also exposing the few shortcomings and limitations we stumbled upon. We’ll also briefly compare all 3 models in the Gopro comparison chart to make sure you know which Gopro is best for you, and finally, see why getting the right SD card for your Gopro is important. Disclosure: extremenomads.life is a participant in the Amazon Services LLC Associates Program, an affiliate advertising program designed to provide a means for sites to earn advertising fees by advertising and linking to Amazon.com. 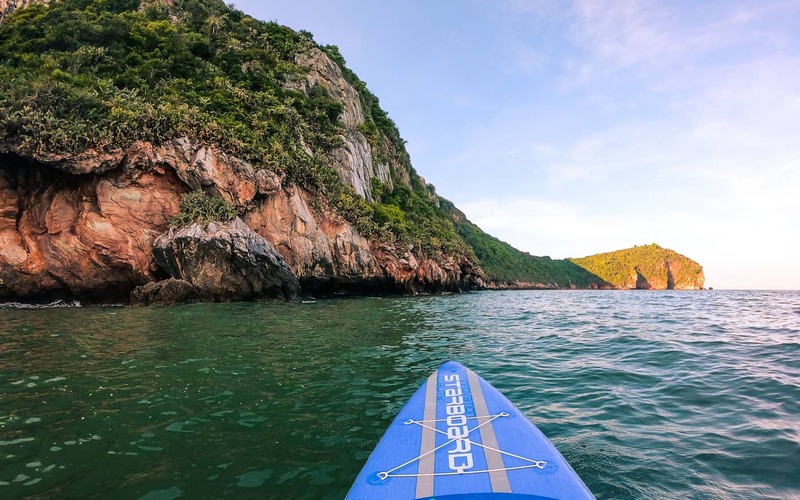 Since getting this camera about 5 months ago, we’ve had the chance to take it around with us in Malaysia, Bali, and in our own backyard 3 hours south of Bangkok: Pranburi, a popular kitesurfing spot, and the breathtaking Khao Sam Roi Yot national park. 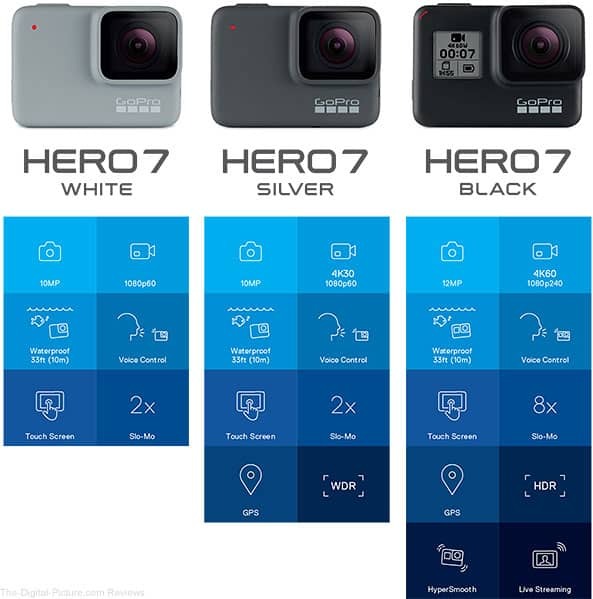 That Hero 7 Black has been taken wakeboarding, kitesurfing, suping and surfing, hiking and camping, but also on scooters, ATVs and even a pretty badass custom bike (Oh, Bali’s rice terraces on 2 wheels, man…), and in a nutshell: yes there are a few shortcomings, but they’re largely shadowed by an insane overall quality, and so we still consider it to be the best waterproof action camera on the market right now! I was highly skeptical about that “smoother than ever” speech, probably traumatized by these laundry detergents that somehow keep making your clothes whiter or that crazy day when Gillette’s razors got their 5th blade, the old “this is a revolution” speech tends to loose its aura after the 9th iphone, doesn’t it? But in this case, I have to say, the “gimbal-like” claim is pretty legit. Now for sure, it’s not the level of a modern $500 gimbal, which has so many other features of course, but if we’re only speaking about stabilization, it is by far the smoothest 4K action cam I’ve ever seen. Before you ask how Gopro’s crazy engineers did it, here’s a short walk I captured in Tegalalang’s rice terraces with just the Hero 7 Black and the Handler, using mostly one hand, both when going down stair sets. No extra stabilization applied, no color grading, what you see is what you get. Gopro’s new improvements on the GP1 chip allows its camera, using AI, to analyze motion and automatically balance your shots, and that mad thing goes all the way to the 4K resolution at 60 frames per second, meaning you can go even smoother by then slowing down your shots to 30 fps (2x slow motion). This is the holy grail of every action sports videographer, and up until just a few years ago, was only accessible to serious production companies that could afford special cameras worth 5 or 6 figures. 120 fps at 2.7K or 240 fps at 1080. Check out that cool parkour edit shot at 240 fps (8x slow motion). Good picture quality is essential, and it’s good to know that the Hero 7 Black offers a decent 12 megapixels resolution, while it’s down to 10 on the silver and white models. A more significant asset here is the Protune option available only on the Hero 7 Black. Protune will interest anyone who knows a bit about the technical side of things, and want as much control on their settings as possible. 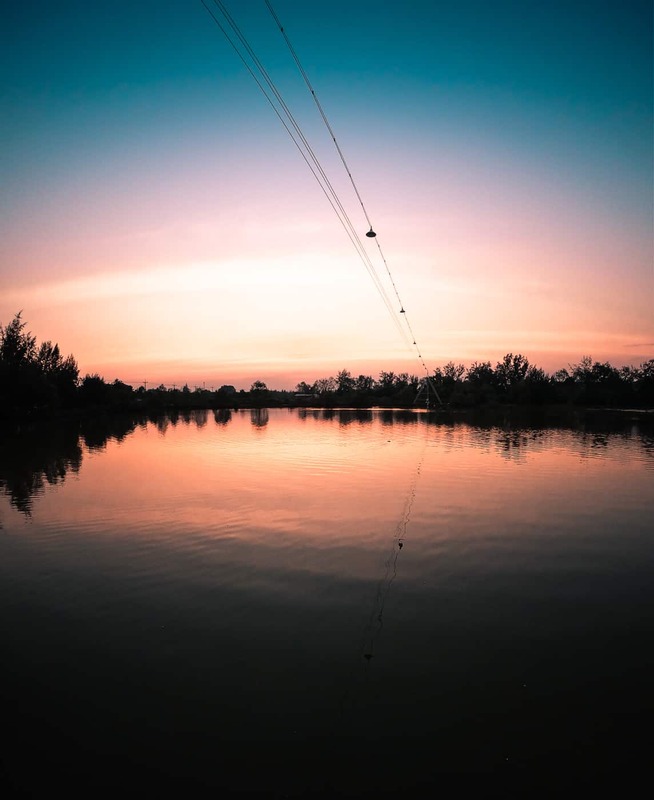 To keep it brief, it allows for more flexibility in the editing phase, by producing footage and stills without any alteration from Gopro’s automatic contrast, sharpness and color processing. You’re working with footage from different cameras, and need your Gopro shots as neutral as possible in order to reach a consistent color profile. You love editing your photos, you may even have your own Lightroom presets, and again this is much better done with neutral pictures. You’re reaching the end of that sweet sunset and light levels are getting too low for the Gopro’s sensitivity, which automatically shoots up to 6400 ISO in order to have as much of the scene exposed, but since that also results in heavy noise, the material ends up nearly unusable. Just switch to Protune and manually set your ISO max to 1600. It’s often better to sacrifice the details in the darkest parts but have the sky still nicely exposed, than have the whole picture lighted up but ruined with noise. Low light sensitivity may have gotten better compared to previous generations, but we’re still far from what a classic camera with stand-alone lenses can do, and it probably won’t ever be comparable. But hey, this is a 116 grams 4K action camera, and most of the action for us humans happens by day, so we can’t really complain! 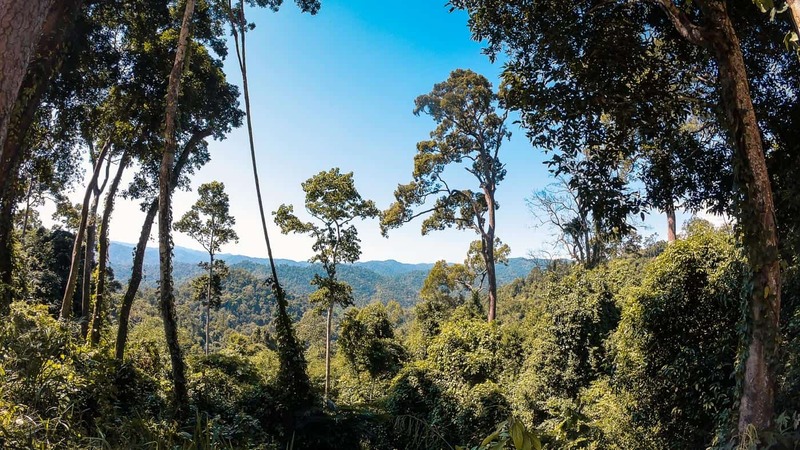 SuperPhoto is simply a built-in HDR mode, the camera merging together different expositions (the High Dynamic Range part) to get the best level of detail in both light and dark areas, ideal when shooting high contrast scenes. Also on the Hero 7 Range are the photo burst modes, a clear necessity in action cameras. This mode has been present for a while on Gopro cameras, but I just mention it in case some of you weren’t aware. I mostly use the 30/6 mode, which I activate just before going for a trick. That means 30 pictures in the space of 6 seconds. And finally, a new addition to the Hero 7 Black is the portrait mode that allows for vertical, phone like shots that will please adepts of Instagram stories and such, and is available for both pictures and videos. Timewarp is the successful fusion between the classic timelapse mode and the new Hypersmooth stabilization. Where the timelapse mode of Gopro’s previous generations required the camera to stay still, the addition of Hypersmooth now brings enough stabilization to create pretty awesome hyperlapses! A hyperlapse is a timelapse with camera motion involved, creating unique shots that will add always-welcome diversity in your edits, in this case by simply walking around, preferably using a Handler, but also when riding bikes with a helmet mount, for example. 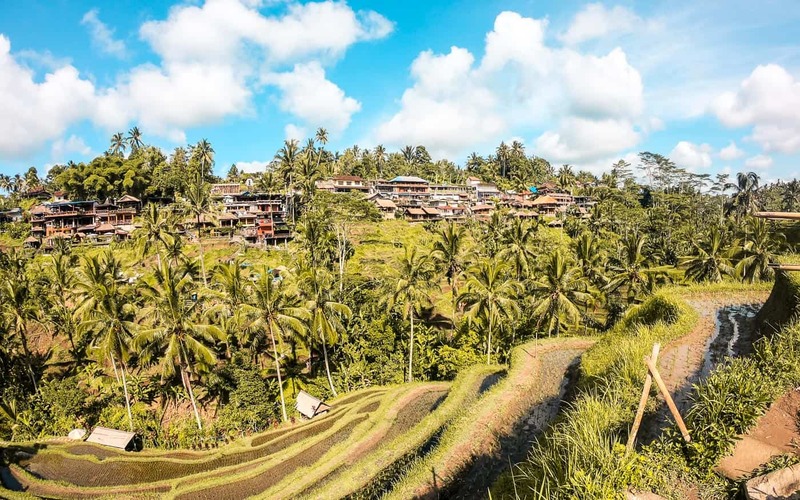 You can see a few timewarp clips of us bike tripping in Bali in the first video of this post. Now that one will be of special interest to vloggers around, since live streaming is probably the most direct way there is to connect with one’s audience and boost engagement through the roof. All you need is a stable internet connection, from your phone’s 4G for example, and of course something worth sharing live! Then, the GPS allows for tracking of speed, G-force, altitude and elevation gain, location, and you can monitor all this information straight on your smartphone, and even overlay it on your footage, how cool is that?! Finally, the last feat unique to the Hero 7 Black that often gets overlooked, is its removable battery. While the Silver and White models have a built-in battery, the Hero 7 Black offers a removable one, which means you can considerably extend your shooting capacity by simply having pre-charged spare batteries ready to pop in. 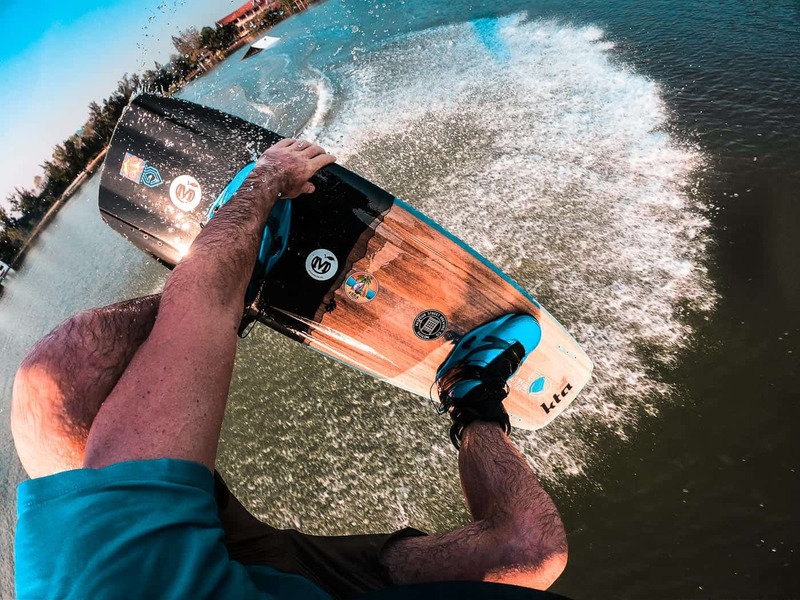 And that makes a huge difference, especially since Gopro’s battery life, like most action sports cameras on the market, hovers around 1.5 to 2 hours (without extra options turned on like wifi or voice control, and at the classic 1080p60 mode). In fact, you can even get Gopro’s own Dual Battery Charger to recharge 2 batteries simultaneously and just keep switching them for never ending use, provided you have a power source nearby to plug your charger to. Gopro batteries are fully charged up in about 2 hours, while one hour will get you up to 60-70%. Good to know: As for all modern devices, Gopro’s battery life gets significantly shorter when shooting in extremely cold conditions. Gopro has come a long way since the 2 buttons control interface, and the touchscreen LCD is now super easy to use and seems to be inspired from smartphones with swiping motions in all 4 directions. Navigating between modes has never been clearer and easier, and I particularly appreciate the extra information displayed when changing resolutions and framerates in the video mode. It basically tells you what stabilization level comes with each mode, as well as the aspect ratio available, 4:3 or 16:9. It will also notify you of the HEVC compression format the first time you set the camera to the higher resolutions and framerates, and you can choose whether you want to see this message again in the future or not. See more about that later in this article. Oh man, finally, a decent sound capture on an action cam! It used to be that you’d just get rid of the audio tracks as soon as you’d import your shots on the timeline, as everything sounded like it came from the inside of the shiest oyster in the deepest of seas. Well, not anymore! Especially when shooting action sports, having decent audio just adds so much to your edits and really immerse the spectator into your footage like no music track ever could. I’d go as far as to say you could even use the latest Gopro models for your vlogs, interviews or any voice based videos. Of course it’s not the quality of a proper stand-alone microphone, but it’s decent enough, and after years of weird muffled sounds, that’s all we can ask for! And if you really feel like upgrading, it’s possible to get a proper mic to connect to your Gopro, although you will need Gopro’s own adapter (3.5mm to USB-C), it surprisingly isn’t cheap, but the option is there. There are other brands offering this adapter, but many people seem to complain that some of those adapters aren’t actually compatible even if the brands claim so. Also make sure the microphone you get isn’t too long, as the front may then appear in your Gopro’s extra wide field of view. Just watch out not to over use it, as just like wifi or GPS, it will drain your battery significantly faster. Another clever little function, is the possibility to set your camera to record short clips, where it will stop recording by itself after 15 or 30 seconds. After 5 months of moving and shaking around on planes, boats, bikes and boards, underwater and overland, our Hero 7 Black still looks like new. They sure did an amazing job with that tough rubber shell, which also happens to feel great in hand as it grips perfectly to your skin. But perhaps what I loved the most is the size of the thing. It’s so light, I can’t even feel it when mounted on my helmet. All this technology packed in just 116 grams is still a little miracle to me. I highly recommend getting yourself one of the travel kits available: I went for the adventure kit, which includes a soft, small bag with compartments, a head mount and the Handler (which floats by the way), and have all your equipment fit in a tiny corner of your backpack. Definitely a great advantage that comes with being the leader of its market, is the massive choice when it comes to mounts and accessories, either Gopro branded or third-party. Want to shoot yourself kitesurfing? Go for a line mount! Wondering how to get these great half underwater shots? Get yourself a dome! Got unlucky and busted your front glass? Just order a Gopro replacement lens! Gopro knows their cameras are used in the most extreme conditions and so offer a very decent choice of replacement parts and additional protective elements. Another area where I think Gopro really stepped up their game is the Quik desktop app that handles the import / export, conversions and organization of your material, as well as the occasional firmware updates. Finding your sessions is easy, converting shots from one format to another is straight forward, and you can even process your picture-based timelapses into editing friendly video formats. Just like any modern device, you may be prompted to upgrade the firmware when connecting your new Gopro Hero 7 to your computer for the first time. The mobile version though, is actually not bad at all, and even allows for editing on the move, which is great for active travelers. I still use Quik to organize, convert formats or process timelapses, but If you want a smooth editing experience, I would recommend using free editing softwares: Imovie for mac, Movie Maker for windows, and if you’re already at an advanced level, DaVinci Resolve from Blackmagic Design is the new rock star in the editing world right now. It did make me think though, with the amazing progress going on with artificial intelligence nowadays, it’s surprising nobody came up with an AI powered, automatic editing tool yet. Mixing sound analysis and motion detection, I’m sure it won’t be long before you’ll be able to throw your shots in a virtual basket, choose a cool song, and let the little robots do the grunt work with only tiny tweaks left for you to do. Now that’s not a problem exclusive to Gopro, but in case you didn’t know, today’s touchscreens, either on waterproof cameras or smartphones, function by sensing the difference in electrical charge brought by your fingers. Thing is, the technology just can’t tell the difference (yet) between a finger and water. What that means is that, unless you’ve already hit record which locks the screen in monitoring mode, water can make your Gopro do all kinds of stuff, like going into menus, change settings, and yes, sometimes, even delete shots. It’s not that much of a deal once you’re used to it, you simply learn to keep your Gopro out of the water when it’s not recording, and make sure you hit record whenever you’re about to go underwater, even if you’re not actually planning to shoot. It’s better to lose a bit of space on your card than take the risk of losing your best shots of the session. The linear field of view (FOV) in both video and photo modes is where I found another mediocre feature in my opinion, and that’s the zoom. Linear FOV is great to have as in some situations, you don’t want that heavy perspective distortion that comes with the super wide angle. It’s pretty cool when shooting close up action or extreme POV, but for architecture and landscapes, which make a bit part of travel shots, it’s often nicer to keep straight perspectives. But the zoom feature that comes with the linear mode is not something I’d recommend using. Since it’s electronic and not lens-based, you very quickly get too close to your pixels and the results end up looking cheap. FYI, the linear mode is only present up to the 2.7K resolution. Whether you’ll be happy with the Black, Silver or White models mostly comes down to your personal know-how in videography and what computer you have access to. 4K undoubtedly looks amazing, and so does super slow motion, but what most people don’t know is that with this level of resolution and framerate also comes higher requirements for both your computer’s processor, RAM and graphic card, but also how much you know about bitrates, video formats and editing softwares. Shooting 4K or 8x slow motion means footage with a bitrate (volume of data that is transferred in a second) of 80 Mb/s, which only recent computers (Macbook pros 2016 or newer, to give you an idea) can playback and process in the editing phase. In fact, the industry even had to create a new compression format to handle this new bitrate speed, called HEVC, for High Efficiency Video Coding, also called H.265. See more about that on Gopro’s official page. But even if your computer is powerful enough, you will still need to know how to create optimized copies of your source footage when importing it to your editing software, and switch back to the original quality before exporting. Nothing complicated for anyone who’s ever wandered in editing softwares before, but probably challenging for someone who’s only ever shot videos with their smartphones, or even kids below a certain age. So if shooting in the standard 1080p60 mode is fine with you, and the hypersmooth stabilization isn’t really a priority (it’s obviously important to extreme sports athletes but not necessarily as much to the everyday explorer), by all means, save some cash and spend it elsewhere! I would definitely recommend the Hero 7 White as the best Gopro for beginners or kids, as it’s the definitely the most straight forward to use. What Hero 7 Silver has in addition is mainly the 4K30 resolution and GPS. But if you want the whole shabang, especially the breakthrough that the hypersmooth stabilization is, which makes the 4K60 resolution even more eye catching, but also super slow motion, Protune and a longer use capacity thanks to its removable battery, then the Hero 7 Black will certainly blow your socks off. Can’t wait to get your own Gopro Hero 7? Grab one now on Gopro’s official store, or simply on Amazon. Such demanding bitrates also requires proper memory storage, especially on the Hero 7 Black. Think of trying to make London’s Thames flow through a garden hose, it’s going to be a mess, right? The difference is that a river can overflow if it rains too much, but data can’t stretch the bandwidth it’s given, its only solution is to throttle its own speed, which results in all kind of issues. Using a micro SD card that’s too slow is the most common reason for the Gopro cameras to overheat, freeze temporarily or completely, forcing you to remove the battery to reboot it, get excessive battery drain or see weird errors pop up. In fact, an impressive majority of bad reviews left on the latest Gopro cameras come from customers using inadequate cards that just can’t keep up. The maximum bitrate of the Hero 7 Black is at 78 Mb/s, which means you’ll need a micro SD card in the class 10 category or more, as recommended by Gopro themselves. That means a transfer speed of at least 90 Mb/s, such as the Samsung EVO series at 100 Mb/s for example, which are the ones I’m using. Micro SD cards nowadays are ridiculously cheap: a class 10, 64Gb card costs about the same as a cinema ticket, so there’s really no excuse not to get a proper card. 128Gb cards can be found for $20. The space capacity needed also depends on which resolution you’re mostly planning to shoot. A 64 Gb card will be full after recording about 100 minutes in 4K60, or 180 minutes in 1080p60. Therefore, 32Gb is really the minimum you should go for, as it will give you 50 minutes of recording in 4K60 and 90 minutes in 1080p60. 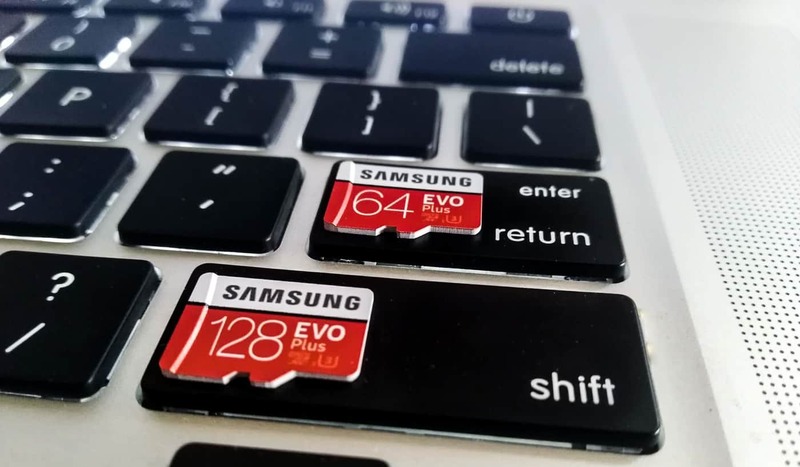 Tip: In some situations, it can be smart to have 2 cards of 128Gb instead of one of 256Gb, since SD cards like any memory storage device can exceptionally become corrupted. A common cause for that is if you happen to shut down the camera, or remove its battery, while in the middle of a software update or a formatting of the card. And if that happens on top of the mountain you just spent hours climbing up for the powder run of a lifetime, and you have no extra card, you better be Dalai Lama level in self control not to let it ruin your day. Another tip: Get yourself a little card reader. For one because they’re super cheap, and two, because even if importing your shots by plugging in your gopro works fine, it means it can’t be used or even have its battery recharged during that time. And transferring 4K footage especially, can take a good while. Plus you can more easily use your cards for offline storing and sharing, just like USB sticks. Gopro’s international online store offers a free 32 Gb SD card with any of the Hero 7 models, in case you’re not sure where to get yours. Have some burning questions about Gopro’s newest action cameras, let me know in the comments section below! Check out Extreme Nomads’ Instagram for more Gopro pictures! So I’m more of a DSLR camera traveler, but I’ve always been interested in a Gopro to get into video content without all the bulkiness of a typical camera. I loved reading this honest review and seeing the videos explaining what you liked– how impressive is that hypersmooth!? Definitely considering this instead of going the whole gimbal route instead. Hi Kristin, glad you found this review useful! Actually, I’ve just got a gimbal for my sony A6300, and even though the quality is amazing, it demands preparation, care and of course it’s a much bigger investment. What I love about the Gopro is that you can just take it with you anyway, even if you’re not really planning to shoot anything, as it’s so conveniently small. The gimbal + mirrorless or DSLR isn’t a setup you carry around “just in case”. You just have to be ok with having only wide angle range, and a not so good light sensitivity. Funny as the Gopro 3+ was also my last action cam before upgrading to the 7. Biggest difference you’ll see from the 3+, I think, is that the sound quality is now actually great since it’s not in a housing anymore, and of course the hypersmooth stabilization is out of this world! I’m really happy with mine, and I barely even started shooting 4K and 240 fps… (my old mcbook pro 2011 just couldn’t handle the bitrate, got a newer one just recently, so will be updating this post with a 4K edit in the future).